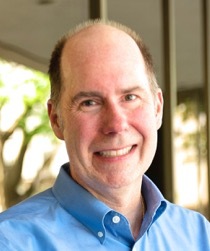 Biography — Edward G. Anderson Jr.
Dr. Edward Anderson is Wright Centennial Professor for Management of Innovative Technology at the University of Texas McCombs School of Business and is the Director of the Healthcare Innovation Initiative. He received his bachelor’s degree in electrical engineering from Stanford and his Ph.D. in management science from MIT. He has made significant contributions to the fields of distributed innovation management and performance improvement. He coauthored: "The Innovation Butterfly: Managing Emergent Opportunities and Risks during Distributed Innovation", "Operations Management for Dummies", and 30+ academic articles. Anderson is a Fellow of the Production and Operations Management Society, the most prestigious award by that organization, for thought leadership. He received the Jay Wright Forrester Award from the System Dynamics Society for his work on performance improvement. He holds six patents. Anderson's research has been funded by the National Science Foundation and the Veterans Administration. He is past president of the Production and Operations Management Society and the System Dynamics Society. He is department editor of the Industry Studies & Public Policy Department of the "Production and Operations Management" journal. He has worked with firms including the American Epilepsy Institute, Ascension Health, Shell, Ford, Dell, Atlantic-Richfield, and numerous startups. More information is at www.EdAnderson.org.